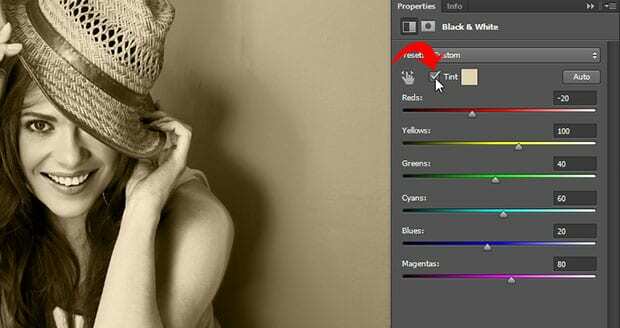 Do you want to change your color portrait into black and white? Many photos look stunning with the black and white effect. In this article, we will show you how to create a beautiful black and white portrait in Photoshop. 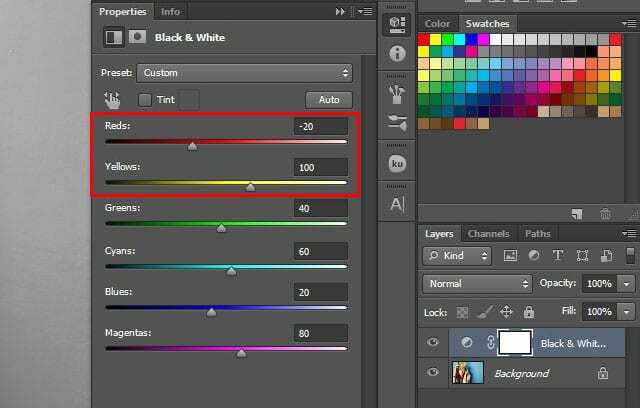 You need to click on the half filled circle icon at the bottom right-hand side of your Photoshop screen to add a Black & White adjustment layer. A window will pop up with the Black & White adjustment layer settings. You will notice that the portrait is already turned black and white, but it still needs a few adjustments for a great result. You should set the Reds slider to -20 and the Yellows slider to 100. This will help the skin of the subject to look great with the B&W effect. Next, go ahead and click on the Tint check box. It will add a slight color to the image. However, you can change and adjust the Tint color as you need. Simply click on the box next to Tint to open up the color picker. We chose a color that adds a warm sepia tone to the black and white effect, so the portrait looks warm and inviting. Once you are satisfied with the color of the Tint, make sure to hit the OK button. Feel free to experiment with these settings to get just the right look for your portrait! We hope this article has helped you to learn how to create a beautiful B&W portrait in Photoshop. 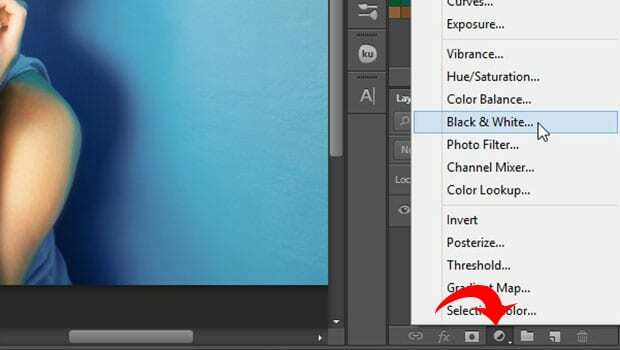 You may also want to check out our guide on how to make a photo black and white except on color in Photoshop.